ESPN has posted the postseason predictions of its 31 experts. 26 of 31 (84%) pick the Red Sox to defeat Cleveland in the ALDS. 23 of those 26 (88%) pick the Red Sox to win the American League pennant. More than half of the experts - 18 of 31 - predict a Red Sox/Cubs World Series. Five experts picked the Red Sox to win the World Series and three of those five predict David Ortiz will be the MVP. The top choice for World Series champion is the Cubs (18). If anyone taped any of last weekend's David Ortiz ceremonies and could share them, I'd appreciate it. I've seen a few clips on NESN's website, but I'd like to see the whole thing, especially Sunday's stuff (which I read lasted about 40 minutes). Baseball historian Glenn Stout has written previously about the Boston Red Sox's historic sale of Babe Ruth to the New York Yankees following the 1919 season. In Red Sox Century and this 2004 ESPN article, Stout presented a deep understanding and an accurate portrayal of an event that has for decades been the subject of rumour, conjecture, and outright falsehoods. 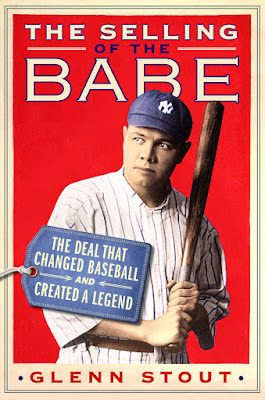 Stout's book-length treatment of the subject, The Selling of the Babe: The Deal That Changed Baseball and Created a Legend (Thomas Dunne) is a well-researched and entertaining account of what still stands as baseball's most famous transaction. Stout argues that "no other personality in sports has been so exalted, mythologized, and obscured by history". How someone can be the most exalted and the most obscured may seem contradictory, but many aspects of Ruth's life are a near blank. His childhood, for example. And no matter how much attention is paid to Ruth's performances on the baseball field, the more one learns about him, the more one actually starts believing that the man considered the game's greatest player was underrated. No matter how much we learn about Ruth, he is never diminished. Even as we learn more facts, and the enormity of his greatness grows, he seems more outsized, his baseball career appearing even more improbable. Ruth's obituary in the New York Times hit the nail on the head: "Probably nowhere in all the imaginative field of fiction could one find a career more dramatic and bizarre than that portrayed in real life by George Herman Ruth." What Stout does in The Selling of the Babe is look at why the Red Sox wanted to rid themselves of the extraordinarily talented Ruth - who was doing double-duty as a pitcher and an outfielder in 1919, while setting a new single-season home run record - and to discuss the sale in the context of Red Sox owner Harry Frazee's contentious relationship with American League president Ban Johnson. Because the sale of the Red Sox to Frazee was not brokered by Johnson, who was far from an impartial executive and actually had financial stakes in several different AL teams, there was animosity between Frazee and Johnson from the very beginning. Because Frazee had no ties to Johnson, because he owed him nothing, Frazee also had no reason to be loyal to the despotic head of the league. His battles with Johnson, however, had split the league in two, some magnates remaining loyal to Johnson, others banding with Frazee and calling themselves the "Insurrectos". Two of the teams aligned with Frazee were the Yankees and White Sox - and those clubs ended up being the possible landing places for the talented yet troublesome Ruth if a trade could be arranged. In telling this story, Stout lays bare some truths: Ruth was a selfish player who looked out for himself (and his bank account) first and foremost, Frazee was a competent front office man whose ownership was impacted more by league politics than by his allegedly overriding love of the theatre, and the sale of Ruth to the Yankees was not seen at the time as a one-sided deal. Frazee did not sell Ruth because he needed the cash. Indeed, looking at the details of the sale, one would assume that it was the Yankees that had significant cash flow trouble. Also, there is absolutely no connection between the sale of Ruth and Frazee's 1925 hit, No, No, Nanette. Stout calls that story a "tired, spurious, hoary old chestnut". 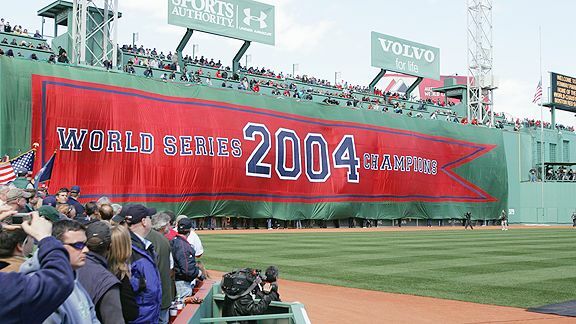 He adds: "It's a fantasy that simply allowed Boston fans to excuse generations of losing baseball, bad management by Frazee's successors, and simplistic, poorly researched, agenda-driven history." The Ruth transaction is a perfect example of the age-old debate about whether star players should receive preferential treatment. When a team is lucky enough to have someone as talented as Ruth, does management (and his teammates) put up with his off-field shenanigans or do they insist that all players on the team be held to the same rules? When the sale of Ruth's contract to the Yankees was announced just after New Year's in 1920, this debate raged in the Boston newspapers. Opinions were neatly divided down the middle, with plenty of fans and former players believing Ruth had to be shipped out for the good of the team. Ruth did not magically change his personality when he arrived in New York. Only two months into the 1920 season, he was rooming by himself on the road and had installed a private phone line by his locker at the Polo Grounds. He remained the same self-absorbed player he had always been - yet in New York, he was celebrated for it. The timing was perfect, with the insatiable Ruth landing in the center of the most vibrant, most exciting, most over-the-top city in the world at the dawn of the hedonistic 1920s. Stout refers to Ruth numerous times as "oblivious" to his surroundings. While Ruth was unquestionably self-centered and often acted as though his own goals were the only ones that existed, to insinuate that he was clueless about what was going on around him is not believable (and more than a little unfair). With regards to the potential strike before Game 5 of the 1918 World Series, the fact that Ruth is not quoted in any of the newspapers does not mean he didn't know what was going on. 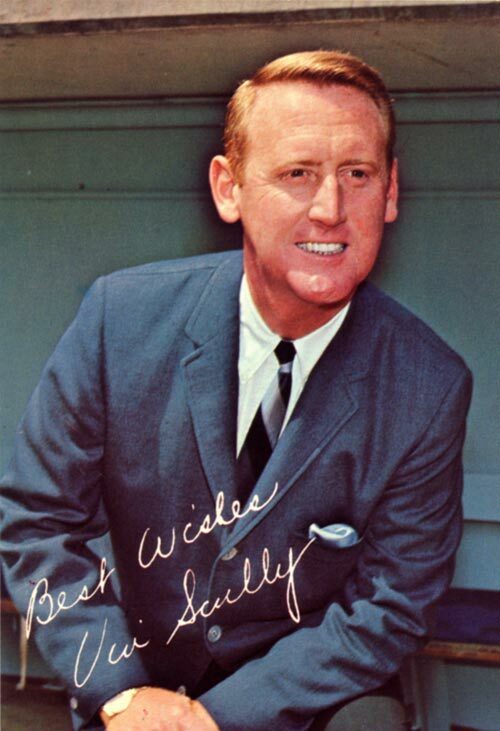 The only player quoted regarding the strike on either the Red Sox or the Cubs was Boston's Harry Hooper, the spokesman of the four-man representative group that met with the National Commission. Ruth slumped during his first month with the Yankees, in 1920, entering May batting only .226 with one extra base hit. However, he soon got hot, posting a 1.384 OPS in May. His batting average soared because outfielders played so deep, it left a lot of green space for short flies and line drives to fall in. And Ruth destroyed a long list of established records. Sam Thompson had set the all-time season slugging percentage mark in 1894 at .696. In 1920 and 1921, Ruth slugged .847 and .846. Back in 1894, Hugh Duffy had an all-time best OPS of 1.196. In 1920, Ruth obliterated that mark with an OPS that was nearly 200 points higher: 1.379. Ruth clubbed 29 home runs in 1919, something no player had ever done. Anyone who had come close in years past, like Ned Williamson in 1884, was playing at least half his games on fields with extremely short fences that artificially boosted his totals. Then, in 1920, Ruth nearly doubled his previous record-setting total, smacking 54. And he bettered that with 59 in 1921. Ruth was not only doing things at the plate that no one else had seen, he was doing things no one could even imagine. Ruth believed that swinging from the heels hurt his batting average. (His lifetime average of .342 is tied for ninth all-time.) If he simply tried for singles, Ruth once claimed, he could have batted .600. During his Yankees career, Ruth flirted with .400 several times. He batted over .375 four times in a five-year period, finishing 1923 at .393. I have often wondered what Ruth could have done if he had put his theory into practice, and tried making contact for small hits for an entire season. He probably would not have hit .600, though. Probably. The Selling of the Babe appears not to have been proofread. At all. The book contains more typographical errors than any book I have ever seen. There are seven errors on pages 146-147 alone. Discounting missing commas before quotes and in the middle of run-on sentences, and sentences that end in commas instead of periods, I compiled a list of more than three dozen typos. (And I'm sure my list is far from definitive.) One typo referred to Red Sox pitcher Carl Mays's "emotional and metal" problems. 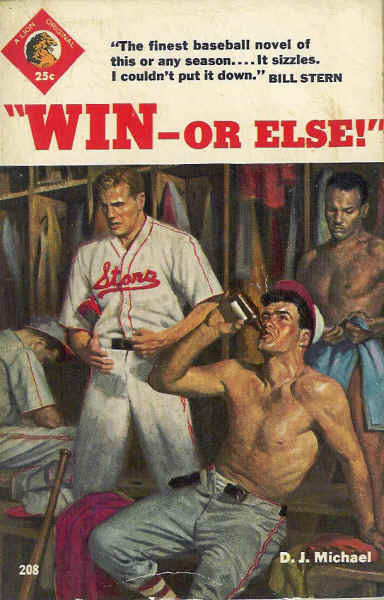 There are incorrect words ("if" instead of "it" and "it" instead of "in", as though the manuscript was scanned but not cleaned up), misplaced apostrophes ("the Tiger's Ty Cobb"), and (especially) extra words in sentences: "baseball had a faced a challenge", "a big league team team", "for the that year's World Series", and "seemed like he did didn't want to". In addition, this book could have used one more round of rewriting/editing. There are too many run-on sentences that should be split up, far too many confusing moments when a reader is not sure who is the subject of a sentence. There are awkward word choices: "wise-old heads shaking their heads" and "Those he favored reaped the benefits in the form of favorable trades and other favors". I want to emphasize that none of these errors should diminish the quality and depth of Stout's research, but they do reflect extremely poorly on the entire production. If I was in Stout's shoes, I'd be smoke-coming-out-of-my-ears furious at Thomas Dunne for its lazy, unprofessional work on the book. 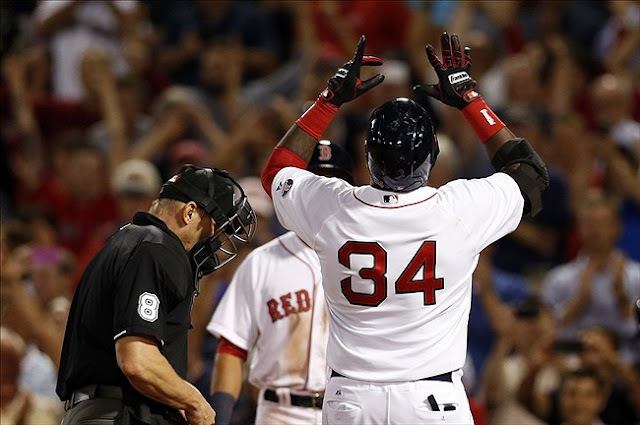 The Red Sox were no-hit by Aaron Sanchez for 6.2 innings until Hanley Ramirez homered down the left field line. The Blue Jays challenged the initial call of "home run", but the umpires upheld it after a review. After the Jays went ahead against Brad Ziegler, the Red Sox had two innings in which to come back. Chris Young singled to start the eighth, but Andrew Benintendi was called out on strikes (as Young stole second). 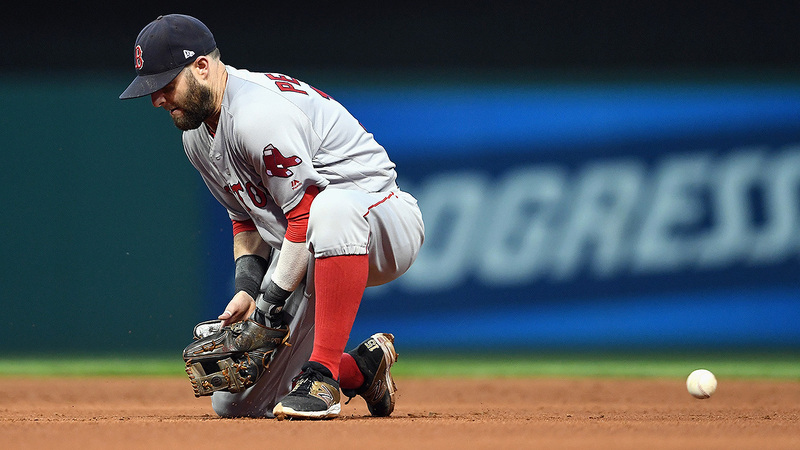 Dustin Pedroia grounded to third and Brock Holt struck out swinging. In the bottom of the ninth, Mookie Betts grounded to short and David Ortiz tapped out catcher-to-first. Hanley Ramirez walked and Xander Bogaerts singled to center to create some excitement. 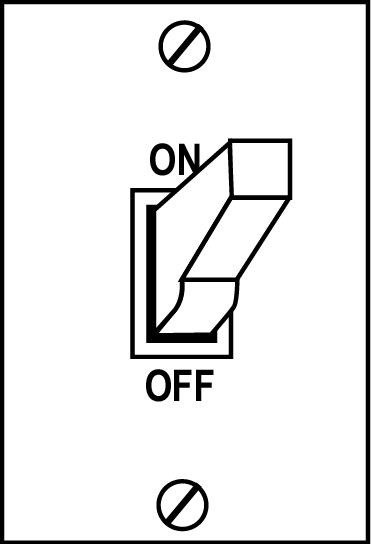 But Jackie Bradley grounded out to third. In the final regular season game of his career, Ortiz - who had one of his best seasons at the plate - went 0-for-4, with two strikeouts. The Red Sox finished the regular season at 93-69. Cleveland (94-67) has a make-up game scheduled for tomorrow against the Tigers. 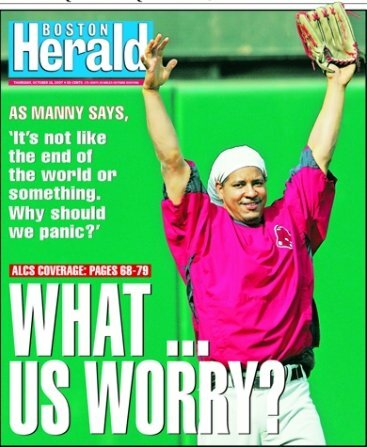 But since Cleveland has secured home field advantage for the ALDS, that game may not be played. If the Red Sox beat the Blue Jays, they will force the Indians to win both their Sunday tilt with Kansas City and a make-up game in Detroit in order to have the ALDS start at Progressive Field. If the Red Sox lose Sunday, and the Indians beat KC, the series will start in Cleveland. If the Red Sox lose against the Blue Jays, and Cleveland loses Sunday, the Indians would play Detroit Monday. Terry Francona's team would then decide its own fate because of the tie-breaker. I'm going to be here until the World Series because we're going to win that, too. The Red Sox announced during Sunday's celebration of David Ortiz's career that the team will retire Big Papi's #34 in 2017. 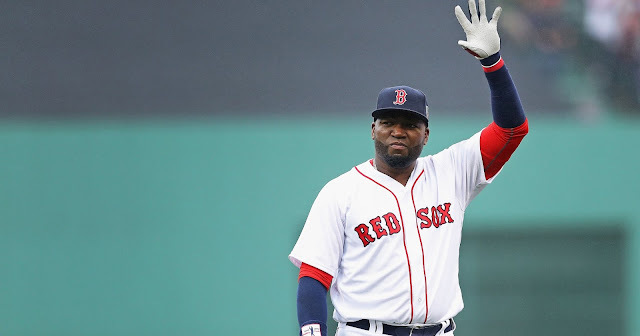 Other announcements: The bridge over the Mass Pike on Brookline Avenue is now the "Big Papi Bridge" and the street that intersects with the T station near Fenway Park will be renamed "David Ortiz Drive". 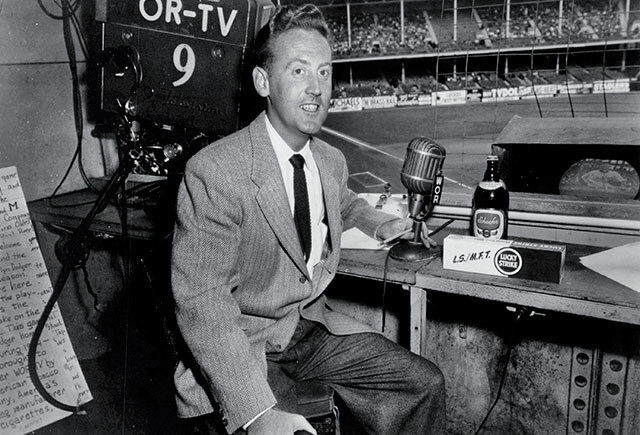 After 67 years behind the microphone, Vin Scully will call his last baseball game this afternoon at 3 PM. Dodgers at Giants. Baseball is action and inaction, with the gaps giving us time to breathe, time to contemplate the next move. It’s sort of a cliché to compare baseball to chess, but ... c'mon, the fastball's the rook, the curveball's the bishop, the slider's the knight ... here, let me draw you a diagram. As the catcher and pitcher are figuring this all out, the hitter is going through the permutations in his head, too. Runners are leading. The crowd is roaring. Everyone crouches down and waits for the next active moment. There's tension. 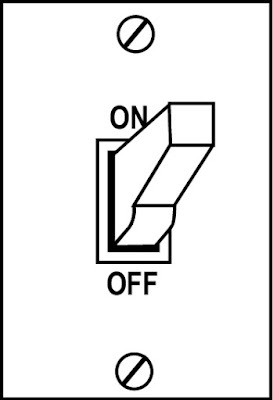 Oh, how there's tension. And there's a voice describing it all. When you're following the radio, you get one sense to work with, and then you have to fill the rest in on your own. That means your imagination has to do at least a quarter of the work, and sometimes it sighs and complains, but it's OK because you're your imagination's biggest fan. It was designed just for you, you know. Scully was that voice for everyone, echoing through the garage while you were under a car, in the car as you were going for a drive, at the mechanic's because you had no business being under the car in the first place. When you're young, old, in-between, with an old friend, remembering an old friend, everywhere. It helps that Scully is the best, of course, a master storyteller with a photographic memory and appreciation for tangents. 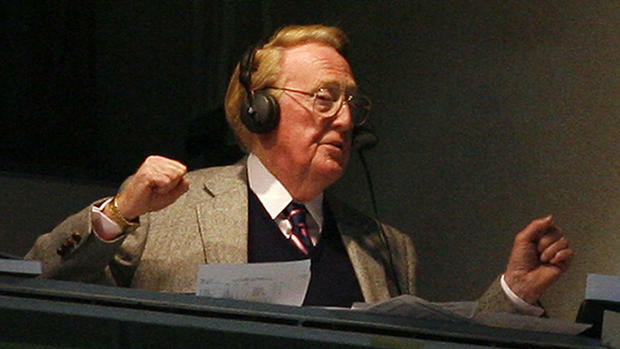 It helps that his voice is unquestionably the archetype of what a sports broadcaster's voice should be — calm, sonorous, with enough range to let you know when the really important stuff is happening. It helps that he knows he's there in service of the game, not the other way around, which means there are times when it's better to shut up and let the crowd call the game for a little bit. Everyone else loves him. Probably because he's the best. Craig Kimbrel walked the first batter he faced in the top of the ninth (Michael Saunders). The Jays pinch-ran Dalton Pompey and bunted him to second. Kimbrel's wild pitch put Pompey on third. A sacrifice fly brought him home and broke a 3-3 tie. The Red Sox went in order in the bottom of the ninth. Mookie Betts went 2-for-4 (and scored twice) and has 214 hits this season. Only two men in Red Sox history have had more hits in one season: Wade Boggs (240 in 1985) and Tris Speaker (222 in 1912). Also, the Red Sox have three players (Betts, David Ortiz, Hanley Ramirez) with at least 110 RBI for the first time since 1950 (Bobby Doerr, Walt Dropo, Vern Stephens). There have been five Red Sox teams with three players with 110+ RBI: 1940, 1946, 1948, 1950, 2016. It is official: The Red Sox will play against Cleveland in the ALDS.